It only takes one missing piece of information that isn’t uncovered within the credentialing process and your organization could wind up making a bad hiring decision. And that could spell trouble for patients and your hospital. 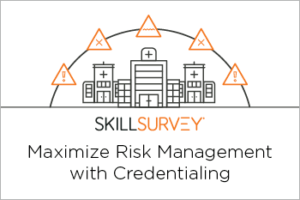 Download the whitepaper, Minimizing Credentialing Risk: How to Protect Your Patients and Your Hospital, and transform your credentialing processes today!